This week, Baha’is around the world will celebrate four days of festivities, gifts, parties, service projects and charitable humanitarian work during the Baha’i holidays called Ayyam-i-Ha. 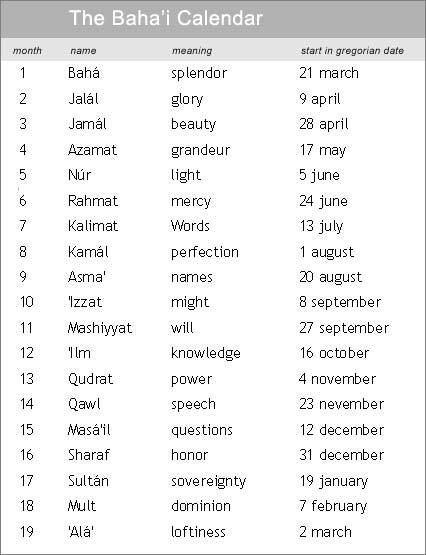 That Persian phrase designates the Baha’i Intercalary Days, describing the four or five days in the annual Baha’i calendar that don’t fall into any given month. Baha’is set aside those days for joyous celebrations and preparation for the Baha’i fast that always follows Ayyam-i-Ha. Confused? Let’s start by explaining that the Baha’is of the world, just like many other major global Faiths, have a unique calendar. Most of the world’s calendars base their months, either roughly or exactly, on the phases of the moon or the earth’s 365¼ day rotation around the sun. Actually, one trip around the sun takes our planet 365 days, 5 hours and 50+ minutes, which makes solar calendars tough to calibrate. The lunar calendars depend on the moon’s 28-day cycle around the Earth to mark the passage of time. Some calendars, notably the Islamic one, have twelve lunar months, strictly calibrated to the moon’s phases. Even the universally-accepted symbol for Islam – the new or crescent moon – comes from the Muslim calendar. Much of the Christian world uses the solar Gregorian calendar, which also has twelve months, but which extends those months to fill out a full solar year – which explains why the length of the Gregorian months varies, from 28 to 31 days. 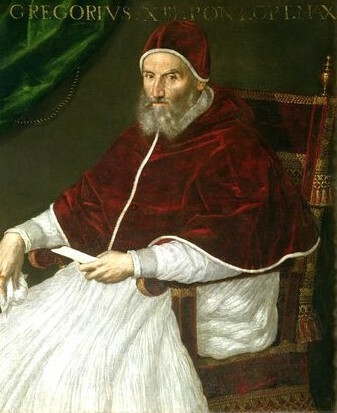 The Gregorian calendar, adopted by Pope Gregory XIII in 1582, was initially designed to keep the Easter celebration closest to its original date on the Vernal Equinox. Some Eastern Orthodox Christian communities, most notably in Russia and nearby countries, still use the predecessor to the Gregorian calendar, the Julian. Both of these calendars use “leap” or intercalary days to account for the extra time of the earth’s solar orbit, adding a day every third or fourth year. The Hebrew calendar used by much of the Jewish community combines solar and lunar observations to produce a lunisolar schedule, which operates on a cycle of 19 years. The Hindu calendar, called the Vikrami lunar calendar, allows most of the people of India and Nepal to mark their religious activities and festivals. In the Hindu calendar, a lunar month can have 29 or 30 days – which means twelve lunar months adds up to about 360 days, and that the Hindus have to insert an additional 13th month every few years. Every calendar that uses astronomy to mark its months has to base its dates on consistent observation of the Earth’s sky and its moon and stars. Astronomical calendars like the Islamic calendar and the old Hebrew calendar work that way, and they’re very accurate – except when you try to figure out when a particular date will occur. On the other hand, every calendar based on a strict set of mathematical rules, like the Gregorian calendar or the current Jewish calendar, makes it simple to calculate when a particular date will occur – but arithmetically-calculated calendars sacrifice accuracy. Their accuracy diminishes slowly over time, because the Earth’s rotation varies, and because of that extra five hours and fifty-some minutes every year, which leap year tries to make up for in the Gregorian calendar. The Baha’i calendar uses a new and different approach that accounts for and corrects both of these inherent problems. It has a unique system of nineteen months, each made up of nineteen days. That means 361 days every year have very specific, arithmetically predictable dates. When the end of the 18th month occurs, the Baha’i calendar inserts four or five intercalary days, which flexibly correct the calendar every year to synchronize it exactly with the earth’s rotation around the sun. …Splendor, Glory, Beauty, Grandeur, Light, Mercy, Words, Perfection, Names, Might, Will, Knowledge, Power, Speech, Questions, Honor, Sovereignty, Dominion, and Loftiness. Meditating upon these sublime attributes, man is enabled to gaze beyond the curve of time, wherein the swing and change of planetary movements exists, to the eternal qualities that stabilize the soul. As the seasons return with their quaternary beauty, as the seed sacrifices to the mystery of the harvest, we see reflected in the mirror of the physical world the spiritual spring-time when the Word of God is planted in the heart of man by the coming of God’s Messengers. – Shoghi Effendi, Principles of Baha’i Administration, pp. 53-54. It might be good to update this article, or provide a footnote, to indicate that the New Year now starts on the vernal equinox, not on March 21! Can anyone explain why the Martyrdom of the Bab, usually commemorated on 9 July in the Gregorian calendar, is to be 10 July this year according to a Baha'i calendar published in the USA? 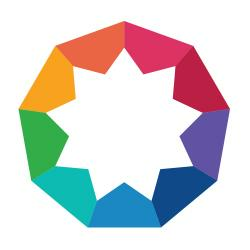 On July 10, 2014, the Universal House of Justice announced three decisions regarding the Badi` (Bahai) calendar, which will affect the dates of Feasts and Holy Days. The definitive tables showing the new dates have not yet been released (as of September 24, 2014), but there is a preliminary discussion here.